Lest we forget, the wonderful Big Big Train don’t have the monopoly on English history! Back in 2015, Bristol’s Pagan Harvest gave us a promising eponymous debut with a profound Anglo aesthetic, and the follow-up shows they’ve only grown in confidence and ability. Sacred River (www.paganharvest.com) draws on the rich banks of lore around the River Thames, and it’s a thoughtful album that’s dramatic, atmospheric and deftly performed. Jon Bickley’s engaging blend of spoken-word and dour melody is set to fascinating, folk-inspired arrangements from Lawrence Reed. Steve Daymond’s bass work is eccentric and well judged, and with added depth from co-vocalist Debbie Hill, this is interesting, clear-eyed prog from a band who deserve to reap what they’ve sown. If you enjoy the post-Eno school of moody, electronica music with a chilled, ambient vibe then Bob Holroyd may already be on your CD shelf. Nitin Sawhney and Mogwai are fans, and he’s added texture to blockbuster movies (The Dark Knight) and classic TV (The Sopranos). His ninth album, The Cage (HML), is the sound of the artist trying to break the confines of his self-professed introspection, and its spare guitars and lonely piano lines will leave you either desolate or exultant, depending on your own headspace. While we’re getting deep, Finnish art rockers UTU return with their third album Russian Poets (Luova), inspired by the works of Soviet writer Andrei Platanov, and numerous paintings too. It’s a transfixing work, with vocalist/songwriter Petra Poutanen’s spirited vocals set to experimental arrangements in the spirit of Kate Bush. This is a hard album to describe but it’s an easy one to recommend. Meanwhile, on the lighter, dafter side, prog maven Rob Reed has come up with a none-more-Oldfield version of the theme from Doctor Who, with Les Penning (recorder player on In Dulci Jubilo) and Tubular Bells producer Tom Newman. The video’s a laugh, the vinyl comes in police-box blue, and it’s a bit of frippery. But Reed’s many fans are surely due something more substantial soon? Fractal Mirror’s fourth album is their first for the gleefully pluralist label Bad Elephant. 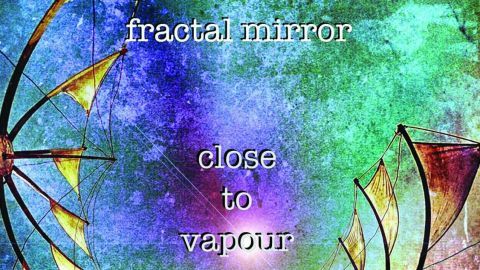 Close To Vapour plays to their many strengths – catchy tunes, proggy twists and arty spirit. Leo Koperdraat’s voice retains that utterly natural tone, Echolyn’s Bruce Kull adds solid guitar work, and Book and Hey You exemplify the likeable pop prog they do so well. It’s a gas. Just as listenable, yet more eclectic and erudite, my record of the month comes from Chicago’s Tautologic. Led by vocalist, composer and musical egghead Ethan Sellers, they proffer second album Re:Psychle (Turtle Down) a mere 18 years after their debut. You can bet Sellers has more than one Gentle Giant LP in his, er, cellar – his urbane lyrical snark is served up with hooky and harmonically challenging music with plenty of 90-degree stylistic turns along the way. It was almost worth the wait!